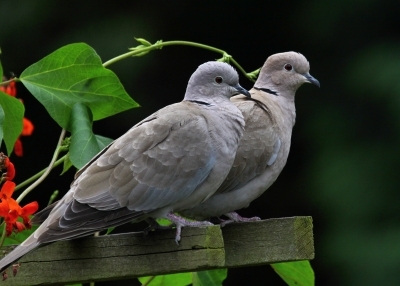 Bird Quotes and Sayings About Birds for garden bird lovers and wild bird enthusiasts! A collection of my best quotes about birds to brighten your day and to remind you of the joyous nature of our feathered friends. Enjoy a quote about birds as a daily inspirational thought, in cards and just for fun! 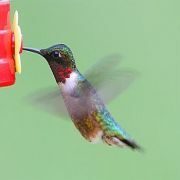 "Like the hummingbird sipping nectar from every flower, I fly joyfully through my days, seeing beauty in everything." Treat yourself to a delightful book of poems about birds! Billy Collins, former U.S. poet laureate, joins with David Allen Sibley, America's foremost bird illustrator, to celebrate the winged creatures that have inspired so many poets to sing for centuries. On his darkest day he believes in Spring." "In order to see birds it is necessary to become part of the silence." "You must not know too much, or be too precise or scientific about birds and trees and flowers and water-craft; a certain free margin, and even vagueness - perhaps ignorance, credulity - helps your enjoyment of these things." And an Orchard, for a Dome." "God finds a low branch for the bird that cannot fly." "Did you ever see an unhappy horse?" Did you ever see bird that had the blues? One reason why birds and horses are not unhappy is because they are not trying to impress other birds and horses." "Accept that some days you are the pigeon, and some days you are the statue." "Sweet the coming on / Of grateful evening mild; then silent night / With this her solemn bird and this fair moon, / And these the gems of heaven, her starry train." "You know that if I were reincarnated, I'd want to come back a buzzard. Nothing hates or envies him, or wants him or needs him. He is never bothered and he can eat anything." "The birds are moulting. If only man could moult also - his mind once a year its errors, his heart once a year its useless passions." "A believer is a bird in a cage, a freethinker is an eagle parting the clouds with tireless wing." "There is an eagle in me that wants to soar, and there is a hippopotamus in me that wants to wallow in the mud." "Poor indeed is the garden in which birds find no homes." and smelt the earth made ready for the seed,,br> you are never again going to be fully happy about the cities and towns that man carries like a crippling weight upon his back." "Look at the birds of the air, for they neither sow nor reap nor gather into barns; yet your Heavenly Father feeds them. Are you not of more value than they?" "To stand at the edge of the sea, to sense the ebb and the flow of the tides, to feel the breath of a mist moving over a great salt marsh, to watch the flight of shore birds that have swept up and down the surf lines of the continents for untold thousands of years, to see the running of the old eels and the young shad to the sea, is to have knowledge of things that are as nearly eternal as any earthly life can be." "When nature made the blue-bird she wished to propitiate both the sky and the earth, so she gave him the color of the one on his back and the hue of the other on his breast." "The sound of birds stops the noise in my mind." "I hope you love birds too. It is economical. It saves going to heaven." I hope you have enjoyed my selection of Bird Quotes! of bird feeder fun in your backyard! Ruby-throated Hummingbirds are the only breeding hummingbird in eastern North America. Bright emerald or golden-green on the back and crown, with gray-white underparts. Males have a brilliant iridescent red throat that can look dark when not in good light. Beats its wings about 53 times a second. They fly straight and fast, but can stop instantly, hover, and adjust their position up, down, or backwards with great control. Live in open woodlands, forest edges, meadows, grasslands, parks, gardens and backyards. They have very short legs which prevent it from walking or hopping. It shuffles along a perch. Nest normally on a tree branch but they are used to human habitation and have been known to nest on loops of chain or wire. Feed on the nectar of red or orange tubular flowers, as well as at hummingbird feeders. Also catch insects in midair or pull them out of spider webs.